Last year’s NBA trade deadline was really too good. It got me, and hopefully many of you, very excited for this year’s wheeling and dealing. But instead of deals, we got a dud of a day and barely any moves were made. The major shifts in power we all thought could happen were deemed to risky, too pricey, or not worth it for whatever reason. The trade deadline represents a chance for the title contenders to bolster their lineup for the stretch run. The groups just below see their chance to join the ranks of contenders and playoff threats. Others collect assets for next year or even the distant future. It’s comparing apples to oranges to weigh the deals of contenders against the long-term schemes of the league’s also rans. With that in mind, let’s break the league down into tiers and compare the deadline successes and failures within each level. For the league’s six worst teams, it’s all about future assets. You’re going nowhere this year. What can you get to help yourself next year and beyond? If you were rooting for the Noel-Okafor pairing to be split up, you’ll need to wait a few more months. The Sixers decided to pass on making their big splash for now, without much on the market, and were probably right to do so. Morris shoves a teammate in the huddle and within only a few days still nets the Suns a mid-first round pick. The Wiz are determined to make the playoffs and look the part of a possible Kevin Durant destination. The pick is currently #12 but should rise a bit into the middle of the first round. Still, after what Phoenix has dealt with Morris, well worth the trade. Brooklyn gets a bad score not just for sitting out a deadline while possessing the worst collection of assets in the NBA, but for hiring a GM on the morning of the trade deadline. That’s how you put an employee in a position to succeed. The deal for Stokes means next to nothing. What matters is Ryan Anderson, a player several contenders would love to have, is most likely bolting in free agency in a few months. There was at least a mid-to-late first round pick to be had for Anderson and the Pelicans decided to pass. They are lucky enough to have Anthony Davis as a centerpiece to build around, but need to take advantage of every opportunity to do so. I guess this is fine. Everything they need to do revolves around Andrew Wiggins and Karl Towns. Keeping Ricky Rubio will help them develop and they hold on to all of their draft assets. Until Kobe rides into the sunset, the Lakers are handcuffed. Dreams of free agents in love with sunny LA eliminate the chance to overspend in a trade, so instead they stand pat and await the summer. For now, that’s all they can do. Make a big move, one way or the other. Make a playoff run or collect ping-pong balls, but don’t stay here. That’s really impressive. Drummond, at only 22, looks like a star capable of building around. Young guys like KCP, Harris, Jackson, and Johnson are all capable of making leaps to complement Drummond. Morris, Baynes, and Motiejunas are all very reliable role players. This team won’t win the East this year or next, but in two or three years, if this core can continue to develop together, the sky will be the limit. If anyone has their eye on ending LeBron’s reign in the East, it’s Detroit. Trading a first round pick for Motiejunas is a tad questionable, but when lumped with the Harris acquisition, the entire haul from this week is worth it. They’ll improve in the second half and that pick will end up in the low 20s. If they are desperate to draft a guy in that range anyway, they can surely buy or trade their way back in. Traded Randy Foye for two second round picks, which is…pretty good? They don’t need a Randy Foye. Let Gary Harris and Will Barton have those minutes. They didn’t make any big moves with Kenneth Faried or Danilo Gallinari, but they are better served playing the season out and seeing where their draft pick lands before shifting their franchise’s direction. The Kings didn’t do anything, which for the Kings is an accomplishment. The combo of eager-to-impress owner Vivek Ranadive and totally overwhelmed GM Vlade Divac has been a mess. Not trading away things of value for short term success is a baby step, but one they had to learn. If you’re going to put all of your eggs into the Kevin Durant free agency basket, might as well pile them in. 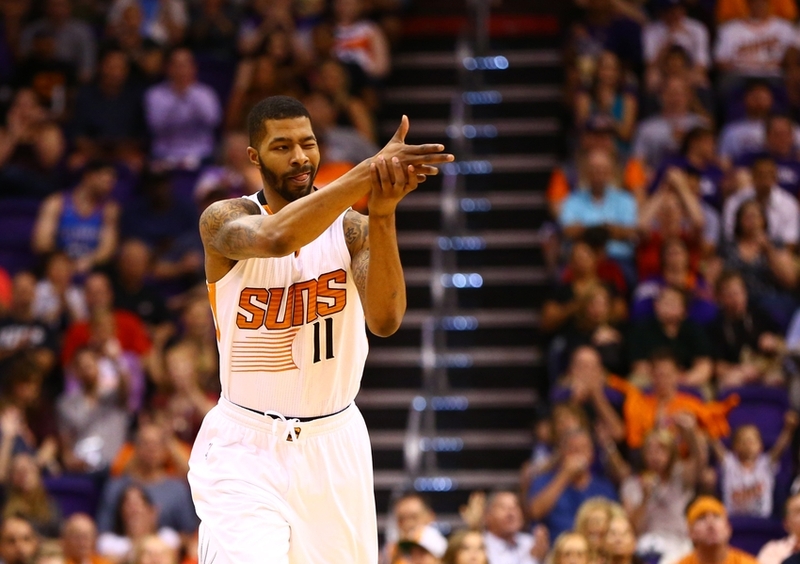 A mid-1st round pick is not a bad price to pay for Markieff Morris, should he behave and play the way he’s able to. What’s the plan here? Convince a star to sign with Orlando this summer? Surely, the Magic executives have been to Orlando, right? Like other small market teams before them, they should be looking to develop home grown talent. 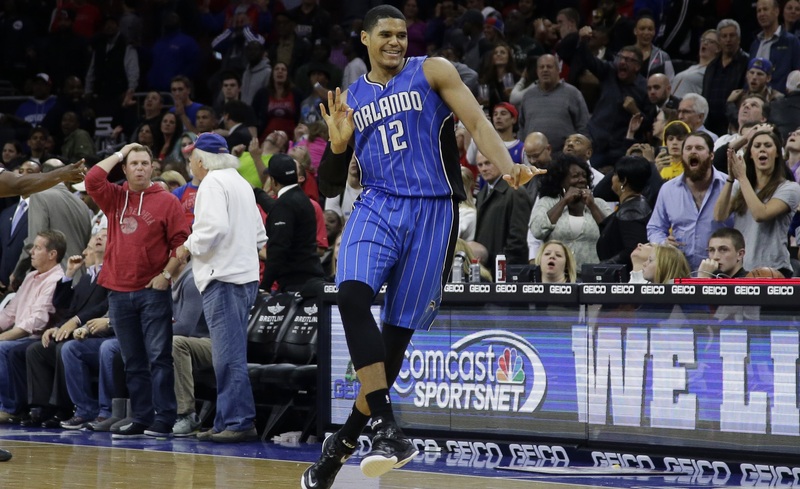 Tobias Harris is 23 and very talented. To ship him away and get nothing exciting back is a crucial mistake in their rebuild. You can trade Tobias Harris, but not for this return. That’s not a bad trade, but Houston’s problem is the trade they didn’t make. Dwight Howard had to be moved. He is leaving in free agency, and Houston should let him, with Clint Capela looking capable of stepping into Dwight’s shoes. At a certain point, once Houston accepts not winning the title this year (God, I hope they’ve already done this) and they are fairly confident Howard will leave, taking dimes and nickels on the dollar in a Howard trade should totally be an option. Milwaukee added a little too much gasoline to the fire of their rebuild last year. Signing Greg Monroe and trading for Michael-Carter Williams, while also re-introducing Jabari Parker to the court, has proven ugly. This team has some nice pieces (Parker, The Greek Freak, Khris Middleton), though they’ve been more panicked than patient in their quest to build out their team. Reports had them as the leader in the Dwight Howard talks, before Howard collapsed any potential trade by refusing to opt-in to his contract for another season in Milwaukee. That makes sense since he’s Dwight Howard and Milwaukee is Milwaukee. Fans of the Bucks should be thanking whatever deity they pray to that Howard isn’t on his way. Without their own pick, the Knickerbockers are looking to win every game they can and maybe sneak into the playoffs. Sure, they’ll be swept by LeBron and the Cavs, but they’ll pack MSG twice and we’ll all have a laugh. They failed to upgrade their bench or swing any of their veterans into more promising players. Oh well. Was Shelvin Mack really the backup point guard you had your eyes on, Utah? Why? He’s…fine, I suppose. But on deadline day, surely your sights could have been set a little bit higher? Theory: Gordon Hayward was teammates with Mack in college and either vouched for him or Mack is a piece intended to keep the team’s best player happy. In the same way old fat drunks put on a beard and play Santa every holiday season, the Trailblazers used their cap space to play the Hinkie role yesterday. Though Philly could have also jumped in on a few of these deals, most didn’t seem to have been worth the reward. Unless the wheels really fall off or you look to pack it in and rebuild, you’ll be in the playoffs. In a season with a very strong top of the league, you’ll either need to add to your arsenal or consider the future. No one in this group did either. The Heat are at a crossroads. Dwyane Wade has only a few good years left, so they are as focused on winning now as any franchise in the NBA. However, Chris Bosh’s now returning blood clots in his calves complicate things. Obviously, the priority for Bosh and the Heat is his long-term health. Should he be able to play the rest of the season, Miami finds themselves fifth in the East, only one game behind Atlanta and two behind Boston. Were they to add a productive piece to their rotation, a trip to the Eastern Conference Finals is a realistic scenario. With Wade at his age, getting to that point and hoping for the best is a welcome outcome. The Heat had a few pieces capable of making this kind of move, but decided not to. If Bosh’s season and career are in jeopardy, the Heat need to look to the future. They only own their own draft pick if it falls in the top 10 and losing draft assets will make building around Goran Dragic and Justise Winslow, the youngest parts of their rotation, much more difficult. The Miami Heat will look very different three years from now. This deadline either set them up to be able to enjoy those three years or to set themselves up for success beyond that point and they did neither. But Pat Riley will still use his greasy devil magic to attract free agents to South Beach and all will be fine. By show of hands, who is fine with winning at most one playoff series this year, but also not setting yourself to improve upon that next year? Huh, ok? Have fun with that. No team seemed like more of a linchpin for this deadline that Atlanta. Al Horford is an impending free agent. Jeff Teague and Dennis Schroder are both capable starting point guards in the NBA. They had the chance to do a mini-implosion of their core before this summer when the eventual actual implosion could occur. 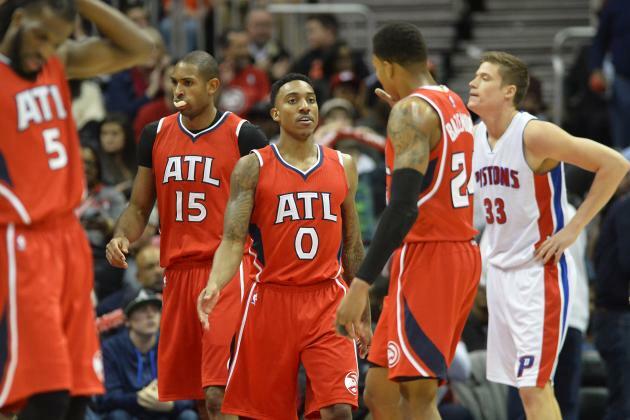 Gone are the days of the Hawks as a threat to win the East. Here now are days where Atlanta is entirely unsure of the direction they are going. Another team capable of starting a chain reaction today decided to stand pat. Danny Ainge sat on his bucket of assets rather than overspending (presumably) on Kevin Love, Dwight Howard, or Al Horford. I’m fine with that. You aren’t winning the title this year, no reason to waste your ammo on a rental or an unsure thing. The bigger problem is that, while not title contenders, the Celtics seem actually capable of making a playoff run. Few teams in this league have the luxury of chasing that without selling out their current or future draft assets. Thanks to the treasure trove they received from the Nets a few years back, the Celtics have that luxury. If Channing Frye was available for a 2nd round pick, he should be a Celtic. If Pau Gasol was available and didn’t cost a king’s ransom, he would be a great fit for them. The Grizz get their own category. What the hell is going on in Memphis? I’ll tell you exactly what. They know they can’t beat the Spurs or Warriors in a seven game series, but they’d squash either in a street fight. Between the three names above and the guys they already have, like Matt Barnes, Zach Randolph, Marc Gasol, and Tony Allen, the Grizzlies look more like an MMA club than a basketball team. God bless the teams who need to beat Memphis four out of seven. You’ll do it, but you’ll need to bring extra ice and some gauze. Four teams with dreams of the Finals, but with roadblocks in the way. Any of the four could have made a major move to make themselves a real threat, but all four chose to stand pat or make minor adjustments. Doc Rivers is infatuated with players he used to coach or coach against back in his Celtics’ days. Enter Jeff Green. The Clips have been desperate for a guy who can guard 3s and 4s on the perimeter, settling for Luc Ricard Mbah A Moute and The Ghost of Paul Pierce. Now Green takes over that role and gives them reliable defense and some slashy scoring that their current roster lacked. In an ideal world, they would have acquired a player like Jeff Green…who is better than Jeff Green. Markieff Morris, Danilo Gallinari, Jae Crowder, and Robert Covington all might have been able to fill that in their own way, but Green will do. Even if the idea of a Paul-Redick/Crawford-Pierce-Green-Griffin lineup is tantalizing, especially against Golden State’s Smallball Lineup of Death, I’m still not sure adding Jeff Green scares the Warriors or Spurs. All reports had the Raps desperate to flip the Knicks 1st round pick (they own the lesser of New York and Denver’s picks) and Patrick Patterson for an upgrade at the power forward spot. None of the big names were really available after all and they were forced to stand pat. Next year, Kyle Lowry will be on the wrong side of 30, but the Raptors will add a lottery pick and either re-sign DeMar DeRozan or add another free agent of his level. Frye is a fine addition to any rotation, but I’m not totally sure what he gives Cleveland. He’s a stretch four, in the same vein of Kevin Love…who the Cavs can’t seem to find the perfect spot for. Does Frye simply take Love’s spot when he leaves the floor? They didn’t give up much, but I’m not actually sure what they got back either. That is now a crowded frontcourt with Love, Frye, LeBron James, Timofey Mozgov, and Tristan Thompson. A little trade that makes sense, even if it doesn’t move the needle much. Moving Novak’s contract saves OKC on the luxury tax, DJ Augustine has been replaced by rookie “Presidential” Cam Payne, and Foye is a nice back of the rotation player. Again, nothing that has Golden State or San Antonio shaking in their boots, but the Thunder were right to not rock the boat too much when they have the best shot at challenging the big dogs. COLANGELO: Just a pick for a 19 year old averaging 17 and 7? Put the phone down, Sam. COLANGELO: Eh, who cares about the real plus/minus garbage. You’re telling me 17 and 7 isn’t a plus!? HINKIE: Jerry, if we make this move we’d potentially get two top-five picks in the draft. That’s a 40% chance of Simmons! COLANGELO: And set this rebuild back another season? Nope. Not happening. HINKIE: [Sighs] Well, can I at least trade Chu Chu for that second round pick? COLANGELO: Sure, sport. Whatever makes you happy. Oh those, Celtic-green colored glasses, Ryan. Trading the third pick in a good draft for the 4th or 5th best in a down one? (loudly smashes calculator with both hands)…The analytics on that don’t add up. Jerry Colangelo is the only front office person using an actual calculator at this point, right? And one that fits in two hands, no less? (Thinks about it a second more.) Probably Phil Jackson, too. There’s also a “Morty Seinfeld and Kramer selling raincoats” comparison here somewhere. It does sounds like the Bucks think they got a moth-filled trenchcoat from those guys (well, one of them at least). You think Colangelo does the MCW trade if he’s around last year? I want to say yes, so badly. I think he may have done the version of the trade where the Sixers receive Isaiah Thomas, which is a much worse deal in the long term. Time will tell, depending on when that Lakers pick converts. May be my Celtics green-covered glasses, but I have no issues with my team having an All Star point guard locked up to a great contract for the next couple seasons. C’s and Sixers in different spots, with different goals, currently though. Part of what would have made Okafor swap fascinating. If the Lakers pick confers this year, I love Kris Dunn and would prefer him on a rookie deal to anyone who changed teams in that big swap. If it rolls to next year, I currently have no confidence the Lakers will suddenly be a playoff team, so you’re likely still holding two lotto picks, even as the assets start to develop and pay off (2016 pick/Embiid/Saric/…gulp, cap space?) rather than being still in asset collection mode. It’s part of the reason I’d have been fine with an Okafor or Noel trade now. So many of the other assets are coming to life that trading one for a valuable package doesn’t slam the team back into tanking again. (BTW, Jahlil for the Brooklyn pick straight up isn’t enough. Would probably need James Young or RJ Hunter and the Dallas or Boston pick). Not sure if this blog is on your hit list, but thought you might enjoy (or, more accurately, find interesting): http://patternofbasketball.blogspot.com/2016/02/76ers.html. Read that today and really love the Okafor-baseball catcher comparison.